ABC Seamless in Alaska uses the same SEAMLESS technology with our siding and custom fits seamless gutters right at your home! The appearance of your home is important. 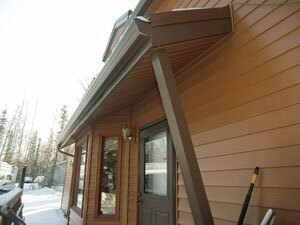 We use “hidden gutter hangers” to fasten the gutter to your home. The hangers are “hidden” from view on the outside, giving your home the clean, SEAMLESS look. We use only heavy duty fasteners for ultimate strength. Our rain gutters are extra large “fascia-style” gutters, which are designed for maximum water carrying capacity and a look to blend in with your fascia. ABC Seamless Gutters are available with durable downspout extensions that flip up, making it easier to mow your lawn. When flipped down, our larger downspout extensions carry water farther away from your home’s foundation. Our PVC-coated steel gutters are stronger and better looking than the traditionally installed aluminum gutters. They have been proven to be more durable with standing ladders, fallen branches, ice and snow. 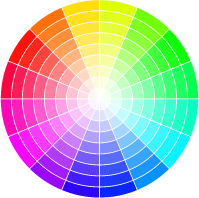 17 colors are available in either a matching or complementing color. The clear choice is ABC Seamless Gutters. We accept Visa, Mastercard, and Discover. Call today for a free estimate!